The Tooth Fairy filed for Chapter 11 bankruptcy today, citing a number of missteps that led to her financial demise, "Thinking a tooth per dollar was a bargain, my strategy was to buy low and resell high. The product didn't move. But instead of cutting my losses, I downgraded in some markets from a dollar to a quarter and lowered the price. Nothing changed. I was slow to realize that regardless of margins, marketing, or methods, teeth that have been in someone else's mouth will not appreciate...and are also gross." Though the Tooth Fairy will continue to license her name to the manufacturers of specialty pillows, tooth-shaped boxes, as well as to parents who wish to be franchisees, she fretted, "This inventory! What am I going to do with all this crap? 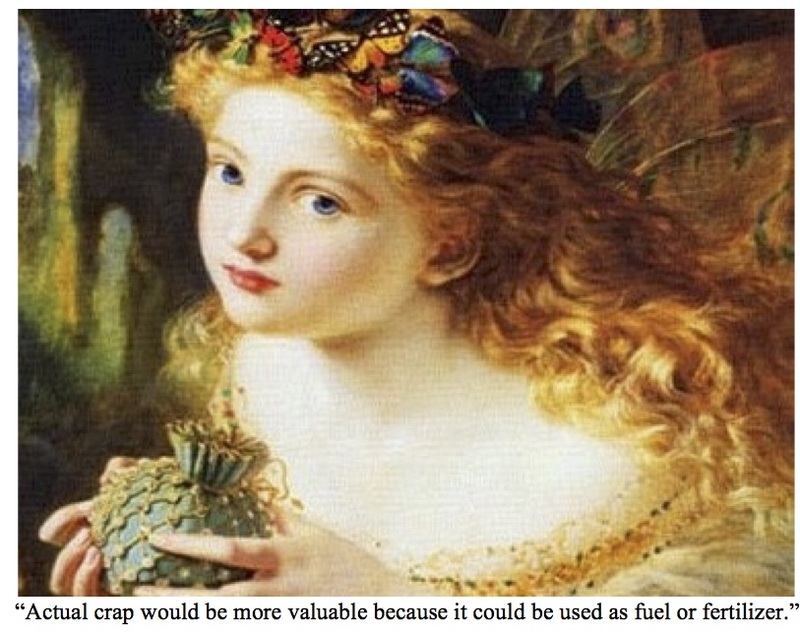 Actual crap would be more valuable because it could be used as fuel or fertilizer. I can't give these teeth away." An economist offered a historical context, "Teeth have never performed well in the market. In ancient times they may have been fashioned into weapons or tools, but that was hundreds of years ago and with the teeth of large animals. There are no practical usages for baby teeth. Unlike say, gold, baby teeth were never a proxy for currency. Baby teeth have no decorative or aesthetic value. It is not shocking the collection of baby teeth is not profitable...but it is, decidedly, quite gross.